A lot of people don’t like revisiting cities they’ve already seen. I’m the opposite; I feel that once you’ve visited the famous landmarks – all the things every tourist ‘has to see’ – you’re free to see some more out of the way, unexpected things. This is especially true in big European cities. I don’t think one visit is ever enough for places like London, Paris, or Rome. On my first full day in London, and I was eager to see something a little ‘off the beaten track’. So I decided to spend the day on Hampstead Heath. Luckily, the Heath has a great deal to offer in the literature way. 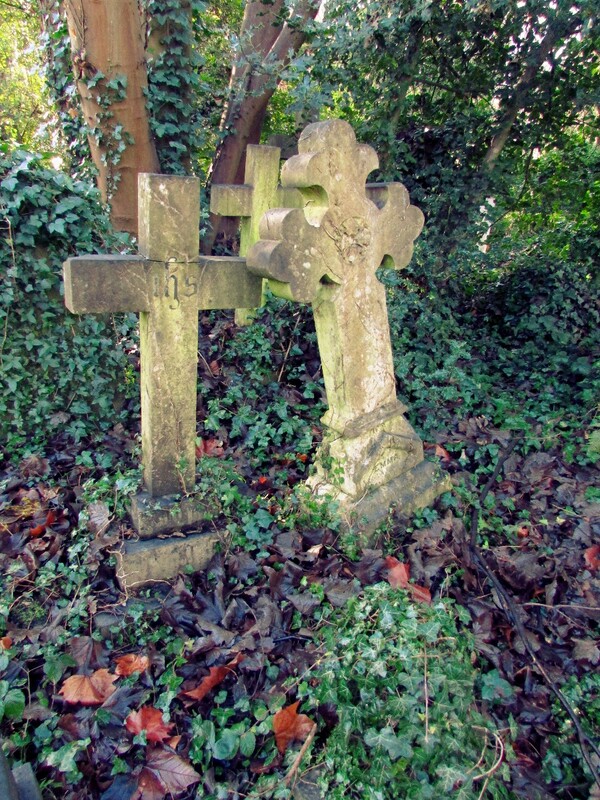 I started by making the trek to Highgate Cemetery, where quite a few notable people are buried. Karl Marx is probably the most famous name; his statue’s bulbous head (about three-quarters of which is just beard) is on the front of the map they gave me in the little shed-like entrance house. I, however, was most eager to see the grave of Mary Ann Evans, also known as Mary Ann Cross, also known as George Eliot, the famous nineteenth century novelist.